Dr. Pildo Joung's book is a gift to Christ's Church. Dr. Joung recounts more than six decades of ministry in his family, local church, and global outreach, from his conversion to his call to ministry to the lessons God has taught him over the years. The principles he raises (faith, humility, prayer, and more) are biblically- grounded, effective, cross-culturally relevant, and convicting. Pastors, missionaries, church-planters, and missionally- minded disciples of Jesus will benefit deeply from reading and reflecting on this book. The focus is squarely where it ought to be: our triune God himself and our reliance upon and trusting obedience of Him. 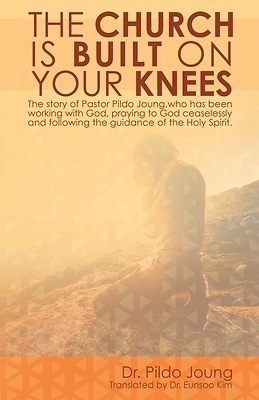 Written in an accessibly readable narrative style, yet with profound insight and the wisdom of more than a half-century of experience in following Jesus and serving His people, Dr. Joung's book is a wonderful compendium of lessons drawn from the laboratory of life, tested by the Scriptures, and attested to by the Spirit's work in and through a life consecrated to the Lord. It will refresh, challenge, and encourage the reader to walk with God and witness God's power in building His Church. The Rev. Samuel H. Larsen, D.Min., Ph.D. Chancellor, Global Reformed Seminary Professor Emeritus, Reformed Theological Seminary Dr. Pildo Joung is the founder and Pastor Emeritus of Sooyoungro Church, one of the most influential gospel-based churches in Korea. Today, more than 30,000 people are worshipping God every Sunday at Sooyoungro Church, while sending more than 1,000 missionaries all over the world. Dr. Joung has been serving faithfully for over fifty years as a pastor for Sooyoungro Church and ministering to many churches in the world. His writings have now been translated into more than 15 languages, serving as catalysts to awaken church leaders worldwide. Dr. Joung graduated from Seoul National University and Chongshin Theological Seminary in Seoul, Korea, and further studied at Fuller Theological Seminary. He received the Doctor of Ministry degree from Reformed Theological Seminary in Jackson, Mississippi."